Did I come on too strong there? Or not strong enough? There are so many websites out there you can consult to help you with your next digital camera purchase but I am glad you found this one. In the big scheme of the things it's not about how high the ISO will go, how many frames per second your drive can exceed. It's all about ARE YOU GOING TO PICK THIS CAMERA UP AND USE IT!?? Have you ever thought about doing a Google search on "what's the best camera for big hands" or "what camera menu is easiest to understand for beginners?". If not, I think that's where you need to start...but first keep reading. I have been teaching photography to beginners and professionals since the D.O.D. (Dawn of Digital) in 2002 and I have seen all sizes, shapes, sensors, and shutters. My approach to finding the right digital camera is simple - which camera will you use? It's just that simple. Each year digital camera technology makes amazing advancements in low ISO noise, low light shooting, sensor size, and autofocus while keeping the barrier to entry manageable. So that's your camera talking, not me. I'm taken, by Canon, Hasselblad, and Cambo. Buy you still have a chance, a fighting chance. There's so many digital cameras out there that claim to be the best, but if you have no desire to pick up the camera and use it, the bells and whistles fall on deaf ears. Many types of photography can be done really well on a standard DSLR camera, but it is up to you what you purchase and there's alot out there. Keep in mind, the best camera you have is the one in your hand..or in this case – the one you can afford. Great photography is not about wether you have a cropped sensor or full frame. Great photography is not about Canon vs Nikon. Finding out what those tools are can be daunting, but hopefully I can help with my over 15 years experience in photographic education. I like to make hard concepts simple, so let's give it try. If you are interested in taking the next step in purchasing a digital camera, please contact me to setup a FREE consultation before you spend all that money? You can go to my CONTACT page to setup your call. How Do You Choose Which Digital Camera Brand to Buy? I don’t think I would ever consider myself a “gearhead”. You know, the kind of person who fauns and obsesses over the new tech or new gadget that hits the market or even the type of photographer who likes to amass a ton of lenses. I do have to say, I like the fact now that I have all the lenses I need to feed my artistic vision and complete any client requests. But one recent purchase I made brought me to another level; when I went from a cropped sensor to full frame. Just the increase in sensor size while using the same Canon L-series lenses showed me a whole new possibility when recording more pixels in a variety of lighting situations. My low light photography just looked better, my portrait's eyes rendered more detail and the skin tones…wow, the skin tones! My full frame sensor was able to record more information, thus allowing me better sharpness, contrast, and broaden my artistic expression. Now I know that most folks are not at the level where they feel they need to make a jump from cropped sensor to full frame. Some photographers are still wondering if they need to make the upgrade from their smartphone or a point and shoot digital. Either way, I find that when your resulting images no longer match up with your creative impulses maybe it’s time to broaden your camera horizons and consider an upgrade. When you decide to upgrade your photographic life, or find yourself at this creative chasm, you will likely find that you will need to purchase a new camera. Because we are living in such a wonderful technologically advanced era, you are probably going to want to go with a Digital SLR or Mirrorless camera. The barrier to entry into high resolution cameras that function well in any situation is low and ripe for the picking and waiting on you! 1. The camera must feel good in your hands or you won't use it! Consider the weight, size, and if you are going to add on lenses or flashes later...these thing add up! I always suggest going by you local camera store, Best Buy or Wal-Mart to hold the latest models and see how they feel. If you are passionate about buying local then you have the tools at your disposal. Always consider you will by an extra lens one day, or even a new larger capacity memory card to hold more images. All of these prices are online and easily researched. 3. Compare the relevant technical specifications that are important to you! Always compare: resolution, optical zoom magnification (NOT digital zoom! - NOT a factor), battery life, built in flash vs hot shoe, and what lens comes in the package. Does it have built in WiFi? I love having WiFi built in as it lets me send images directly from my camera to my phone to my social media posts! Most semi-pro and professional digital cameras have a video option but all are not created equal. Think about if you want to shoot your own high quality (sometimes 4K resolution) video as well as high quality still photographs, and go from there. More on which camera to buy if you lean towards video later. This isn’t anything against analog cameras, I still shoot plenty with my Hasselblad and 4x5, but the latest greatest digital cameras allow you as the photographer so much resolution, focus, lens options and the ability to bring your creativity to the next level. As a commercial photographer that focuses on lifestyle and corporate branding, I need the instant image to create on the go and turn around the job on very tight deadlines. Just know, there is so much out there, but you still need to know what to look for when purchasing a camera. In this article, I hope to show you some of the best tips for buying a digital camera. Why is Digital Camera resolution and Quality important? We’ve all taken a picture from our smart phone or our current camera and realized later that it wasn’t a great quality shot when we view it on a computer or in an editing software. It’s difficult to shoot action, low light, or complicated scenes with a camera that has limited control. You generally see a lot of noise or an overall softness in your images. This has a lot do with resolution. Camera resolution is measured in megapixels, which are equivalent to one million pixels. The higher the number of megapixels, the better resolution your camera will have since the pixel is the smallest unit of measurement that records information…or let’s say LIGHT. It is important to choose a camera that has a resolution that allows you to create and present in the best way possibly. 5DS R boasts a resolution of 50.6 megapixels, for example. This is considered high resolution, but is it practical for you? I would think not – unless you are upgrading for the need to make large prints, or crop in to your images for greater detail not found on your current camera. There is the question of budget. The 5DS-R is almost $4,000 for the body. Maybe not in your range, but this is the top end of the camera spectrum – there are so many other options for you. What is a camera sensor size and Why Is it Important? The camera’s sensor size can determine the resolution and the quality of the photos you take with your new camera. Camera sensors are located inside of the camera and are used to record the image you see through your viewfinder to your memory card. If the sensor is bigger, there is a good chance it can capture more information and clearer photos. Larger Sensor = Higher Quality and most of the time, Higher Price. So if you are a photographer who is looking to upgrade your quality immediately – going from a cropped sensor (15.6mm x 23.5mm) to full frame (24mm x 36mm) will drastically do that! A lot of photographers like to hold on to their cropped sensor cameras even after they upgrate because they are great for those who are taking photos farther away, as the “crop factor” will extend your focal length by 1.6x. With a larger sensor, it is less likely that you will encounter noise and other problems when zooming and cropping in post-editing vs a smaller sensor. However, cameras with larger sensors are typically more expensive, so be sure you choose the camera with the sensor size that will work best with the type of photography you’ll be doing. What does a good Digital SLR camera cost? A great camera package (body, lens, batteries and a card) can cost anywhere from $500 to $1,000s to $10,000s of dollars depending on what you’re getting. The price of your new DSLR camera needs to be something you know you can afford or easily pay off. If you are a professional or a semi-pro looking to upgrade, you can write off this purchase on your taxes if you are an LLC or Sole Proprietor. This is where deciding what you’re photographing comings in handy. You can buy DSLR packages that come with a 18-55mm lens, or even a 2407mm lens that will work as a great starter package. I find that camera manufactures have way too many options for photographers who want to get in at the $600 - $1000 range. Once you get above the $1K digital camera range the options get slimmer, functions and features get more easy to read and the choices become clearer. That's wonderful, but sometimes this exceeds our budget and we need to buy a digital camera under $1,000. Don't worry, they are out there. What are some DSLR Camera modes and features to look for when purchasing? It is always great when your camera can operate in several types of conditions and record several different file formats. This is something we don’t get to access very much in smartphones and some point and shoots. Control over our shooting conditions and light is very important! When you go to purchase your camera, be sure you have options like Manual Mode, Aperture Priority, and even quick key shooting modes like: sport mode, portrait mode, and scenic mode. Most cameras come with a starter kit and one lens. That lens is usually the equivalent of a standard zoom lens that has a focal length of 28mm-80mm (or in cropped sensor language – 18mm-55mm) This is great when you’re just starting out and you can add lenses later. You can get cropped sensor or full frame sensor camera starter packs. What is a better camera to get, Canon or Nikon? This might not matter to many, but if you are used to shooting on a certain type of camera, you should take brand in mind when purchasing only from a user experience and interface matter. I only say this because there is always the debate in Canon vs Nikon. Now you have to include Sony, Panasoninc, Minolta and Olympus into that debate and once you do, discussion gets a little tricky. I do believe that with any of these cameras you will have success – but not all camera menu’s and interfaces are created equal. I have been teaching beginner photography since before digital was popular. Since the early 2000’s I have taught on almost every camera invented and I find that if you don’t buy a camera that’s easy to use or that is “learnable” then you will not want to shoot with it! In my opinion, Canon has the easiest User Interface and Experience in navigating the menu modes and quick keys. 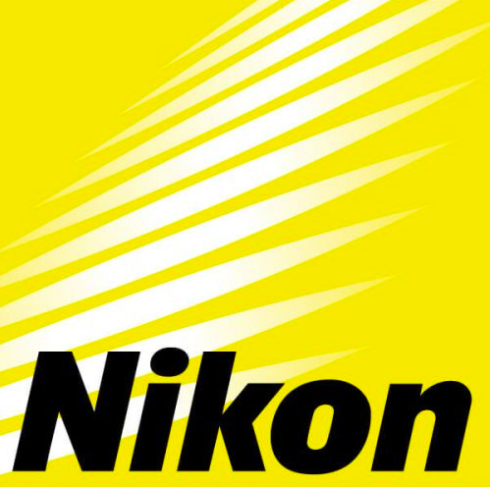 Nikon comes in at a distant second only because the amount of features offered in even the most beginner Nikon, rival that of a professional camera in Canon, Minolta, or even Olympus. There are features there that I feel don’t make you a better photographer and are only added there to confuse and boost the “user control” factor which doesn’t say much. So..that’s my 2 cents! What are my favorite DSLR Cameras on the Market? NIKON D7200 - $859 MSRP - Body Only - I like this camera due to it's 24.2 megapixel quality, and with a APC-S sensor (23.5 x 15.6) and especially for the fact it has built in Wifi. With 51 Auto Focus points you shouldn't miss a shot! NIKON D610 - $1,400 MSRP - Body Only / $2,000 - w/ 28-85mm lens - Nikon's entry level full frame camera boasts 24.3 megapixels, 100-6400 ISO range, 6 frames per second, wireless adapter (no built in wifi), weather sealed, pop up flash and you also get Nikon's ultra confusing menu. Ok, sorry not sorry. CANON 7D Mark II - $1,500 (on sale) for the body. This competes with the Nikon D500 giving you great resolution but a larger body, weather seal (so important down here in New Orleans!) and 10 frames per second shoot in burst mode. CANON 6D Mark II - at a MSRP of $2,000 you gain entry into Canon's full frame arena, utilizing the 26.2 megapixel sensor, 45 point AF system, 6.5 fps, Built in Timelapse Mode (really cool! ), Built in WiFi and weather sealing ( so important again in the South!). The 6D Mark II has the built in articulating screen that allows you to compose your images in difficult angles without having have your eye to the viewfinder at all times. SONY A7 II or A7sII (mirroless) - $1,300 A7II with 28-70 lens (24mp) / $2,500 A7sII (12mp) Body Only - If you have smaller hands, want better video quality and low noise in low light then the Sony A7 series is for you. Consider the A7sII if you want lower noise, and true 4K resolution video on a full frame sensor, without the crop. For the money, the A7II with a lens is a great entry into mirroless digital photography and that price might even go lower with the new A7sII on the market. So now that I have my camera what do I do with it? If you made it this far I am hoping you took my advice on searching for digital camera that you are going to use rather than the latest greatest that just sits on a shelf. But what if you still have questions and you are still interested in taking the next step in purchasing a digital camera? Here's your chance, I want to help. Please contact me to setup a FREE consultation before you spend all that money? You can go to my CONTACT page to setup your email conference.